We will never be able to end hunger in this world, but we are called by Christ to do our part to help. Our pantry was established to help those Bayonne residents below 19th Street to receive a hand. Each week parishioners deposit non-perishable food items in the bins at the entrance to both of our worship sites. Several people will bring these items to the pantry located at the parish office. Occasionally we have parish food drives or are the beneficiaries of other organizations like our parochial school or other civic groups. 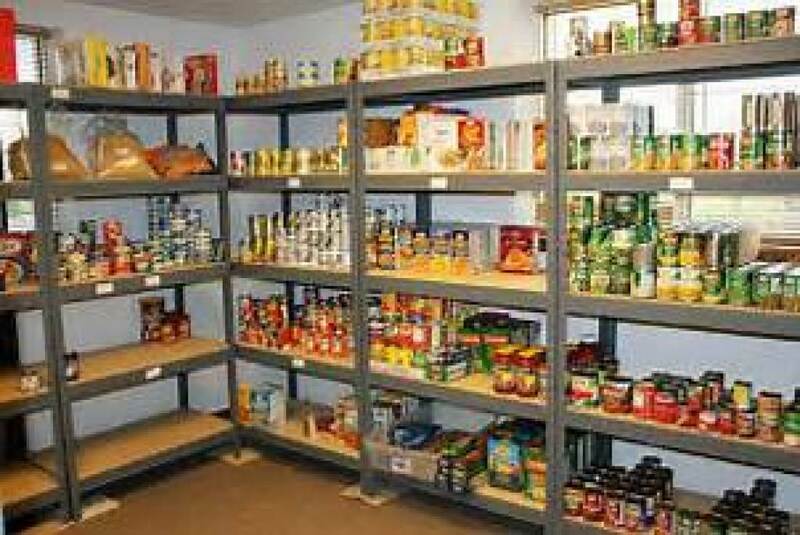 We do not collect everything we need and so volunteers help take inventory and purchase what we need to "fill the gaps" in the pantry. Many people make financial contributions to help make this a reality. Others come to help bag the groceries that offer a balance of items to help people who are struggling to make ends meet. Then on the 1st and 3rd Saturday of each month volunteers are present to help distribute the bags to our neighborhood clients.